Get FREE FedEx 2-Day Shipping on Orders over $50! Introducing our Newest and Least Expensive Kit! The LK4. Our Newest Kit: The LK4 - Just $29.95 On Sale! This kit is designed for ONE TREATMENT on ONE HEAD that has short to medium length, normal to thin hair. 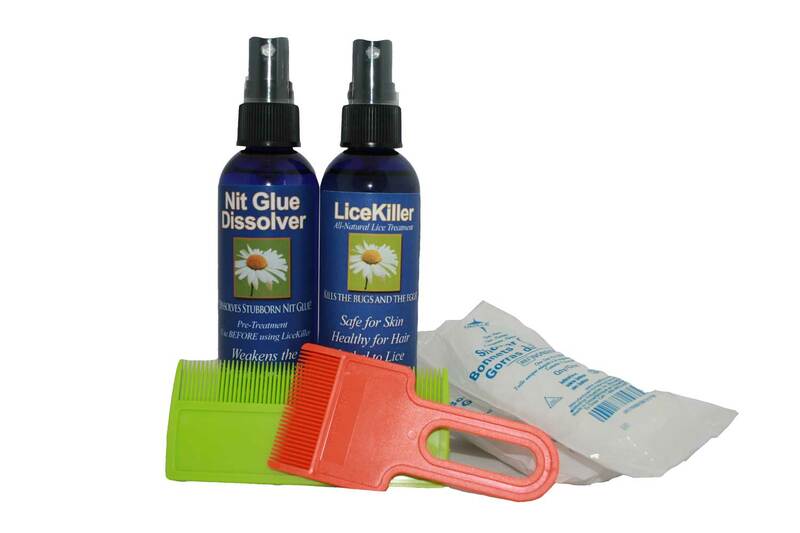 We guarantee that if you follow the directions, LiceKiller products will kill all the lice you are dealing with. We also guarantee that you will probably have a Re-Infestation. When that happens, use LiceKiller immediately (MAKE SURE YOU ORDER ENOUGH PRODUCT TO HAVE SOME LEFT OVER FOR THE RE-INFESTATIONS THAT WILL PROBABLY COME). Do NOT wait 7-10 days between treatments. If you find you have been infested with a species of head lice that does not die when treated with LiceKiller, contact us immediately and we will send you a different formula absolutely free. We will work with you to eradicate that species and warn others in your area about it. Copyright 2018 by LiceKiller.Com. All rights reserved.